It has been both interesting and informative to watch the debate over the meaning of piracy’s “private ends” requirement unfold between Kevin Jon Heller and Eugene Kontorovich at Opinio Juris and The Volokh Conspiracy, respectively. Over a series of successive posts (here, here, here, here, and here), they began to home in on the real crux of the “private ends” issue, but Kevin’s latest post led that debate somewhat astray. Kevin notes that Australia claims a 200nm EEZ off the coast of certain parts of Antarctica, has passed a law prohibiting whaling in that EEZ, and has issued an injunction against the Japanese “researchers” who in fact whale in that EEZ. He further notes that France, New Zealand, Norway, and the United Kingdom have recognized that EEZ. All of these are true facts, to be sure. From these premises, however, Kevin concludes that Australia claims “sovereignty” over the Arctic EEZ, excluding any actions occurring therein from the common jurisdiction that all states enjoy over piracy jure gentium. This reading contracts the plain language of UNCLOS. UNCLOS art. 58(2) states that, “[a]rticles 88 to 115 and other pertinent rules of international law apply to the exclusive economic zone in so far as they are not incompatible with this Part.” All of UNCLOS’s piracy provisions are contained in art. 100-110 and are explicitly incorporated by reference into art. 58(2). Thus there can be no question that all states have jurisdiction over acts of piracy occurring in any state’s EEZ. More broadly, UNCLOS arts. 56 and 58 render the EEZ a zone with a specialized legal character. The coastal state has a sovereign right to regulate the natural resources in its EEZ, but the latter is otherwise treated as the high seas for the purposes of arts. 88-115 of UNCLOS. The recognition of the Australian Antarctic Territory’s EEZ has a bearing on whether Australia can criminalize the Japanese research activities occurring within 200nm of the Antarctic coastline, but it has no bearing on the issue of piracy. This brings us back to the tougher and more pressing issue of whether the Sea Shepherds’ activities are conducted for “private ends,” as required by UNCLOS and customary international law. Initially, Eugene and Kevin’s debate focused on a “public” versus “political” dichotomy. This distinction did not fully capture the true issue at hand, taken up in Eugene’s most recent posts, as to whether the private ends question is a subjective or objective one. If one accepts the premise that modern pirates have dual motives – a desire for remuneration coupled with some sort of political goal – a subjective inquiry into whether a pirate’s ends are public/political or private is unworkable. 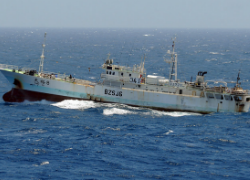 East African pirates want money in the form of ransoms (paid not by the hostages, but by a third party insurance company); they also want the cessation of IUU fishing and dumping. West African pirates want money in the form of oil sales (paid not by the crew, but by a third party black market buyer); they also want a policy of redistribution of oil wealth. An employee of the Sea Shepherds wants money in the form of increased donations and salary (paid not by the Japanese, but by third party donors); they also want a policy limiting Japanese research licenses and/or keeping specific Japanese vessels from using those licenses. In all three cases, the individuals in question are motivated by personal/private as well as political/public motives. And in all three cases, different members of the groups in question value the public and private aspects of their activities differently. A Somali pirate might be a true believer in fighting fishing and dumping, and a Sea Shepherds employee might particularly need his salary to pay a debt. He certainly needs a steady stream of donations to keep his job. If the inquiry into private ends is a subjective one, the job of courts will be to determine whether or they are in favor of the self-described political/public aim of the defendant, speculate as to the degree of sincerity with which that political/public belief is held, and then determine from those considerations alone whether a defendant is subject to universal jurisdiction or must be set free. Nationals of the countries that can afford to conduct universal jurisdiction prosecutions would benefit from this interpretation at the expense of nationals from countries whose values and traditions are more divergent. An objective approach to the question of “private ends,” conversely, draws a bright line that respects a nation’s monopoly on the use of legitimate force and eschews the kind of vigilante justice pursued by organizations like the Sea Shepherds. Under the objective view, committing acts of violence on the high seas on behalf a government is not a crime of universal jurisdiction; doing the same thing as a vigilante is. If we are to accept that animus furandi is not a required aspect of piracy’s mens rea – and I think that we must – an objective view of private ends is the interpretation most in line with the spirit of the law, if not the text of its drafting history. Jon Bellish is a Project Officer at the Oceans Beyond Piracy project just outside Denver, Colorado, though the views expressed are solely those of the author. He is also the founding editor in chief of The View From Above. You can follow him on Twitter. While running through my piracy news roundup yesterday morning, I came across this piece by Robert Young Pelton of Somalia Report. In it, Pelton criticizes a report by Australia’s Lowy Institute that deals with the use of privately contracted armed security personnel (PCASP). I took particular interest in a small tangent within Pelton’s piece that reflects an incorrect sentiment that I have seen repeated many times by non-attorneys (and even by some attorneys): that modern pirates should be considered terrorists. From this statement, I gather that Mr. Pelton is of the view that a key reason that the global anti-terrorism network has not been brought to bear against Somali pirates is that such an arrangement would force states to “negotiate with terrorists” once the pirates have seized the vessel and taken hostages. He appears to lament this fact. A similar view has been expressed by former U.S. Ambassador to the United Nations John Bolton and others who argue that relaxed rules concerning due process and state sovereignty as they are applied to terrorists would make the piracy fight a much easier one to win. Are they terrorists? Certainly not. The oft-expressed desire to equate pirates with terrorists likely stems from several superficial similarities between the two groups. First, as Ambassador Bolton points out, “the same crippling evidentiary and procedural constraints” apply to both terrorists and pirates. Also, both groups consist of non-state actors operating in a truly international fashion to the detriment of the broader international community. Finally, both groups tend to base their operations in the Middle East/North Africa region. Yet international law is clear as to the respective motives necessary to make one a terrorist or a pirate, and the facts on the ground suggest that, no matter how convenient it may be from a policy standpoint, pirates are not terrorists. Conversely, it is well-documented that, although piratical intent is not limited to the desire to rob, for an act to be considered piratical, it must be committed for private ends. This requirement is explicitly laid out in UNCLOS art. 101, as well as its predecessor, 1958 Geneva Convention on the High Seas. A terrorist’s intent must be to incite mass fear or coerce a government, both purely political motives; a pirate’s motive is strictly limited to making money. In a smart piece on piracy-law.com couching this definitional issue in terms of a potential defense available to alleged pirates, Roger Phillips rightly notes that, although in theory it is possible to have both political and pecuniary motives, the political motive appears absent in Somali pirates, who choose not to attack well-protected ships or kill hostages simply because it would be less profitable to do so. It seems like a stretch to argue that the pirates’ modus operandi of attacking a privately-owned ship in the middle of the ocean is somehow carried out in order to coerce a government or frighten the public at large by placing them in danger. Though Roger covered it thoroughly, this definitional point bears repeating because the terrorist theme has gained so much traction in non-legal commentary on the issue of maritime piracy. 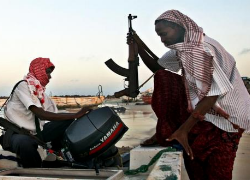 As tempting as it is to “talk tough” about pirates and the international community’s response to piracy by evoking the specter of terrorism, there is very little merit to the claim that the two terms can, at least presently, be used interchangeably to describe Somali pirates or their West African counterparts. Respect for the rule of law – apart from being perennial advice given by developed countries to countries like Somalia – requires taking the law as it is written (or trying to change it through legitimate processes) rather than molding it to fit one’s immediate policy preferences. Unless evidence of pirates taking a less profitable course in favor of a strategy with large political payoff emerges – or the definitions of piracy and/or terrorism change – the “pirates as terrorists” slogan will continue to be just that – a slogan. Jon Bellish is a Project Officer at the Oceans Beyond Piracy project in Boulder, Colorado (though all of his views are his own), and he has experience in United States piracy trials. He just got on Twitter. 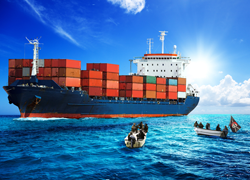 The surge of piracy attacks worldwide and their increasing threat to international shipping are indeed alarming. 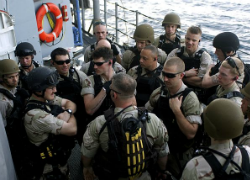 The Piracy Reporting Center of the International Maritime Bureau (IMB), an independent arm of the International Chamber of Commerce, reports that incidents of piracy and robbery at sea reached 445 in 2010, compared with 400 in 2009, while there were 293 attacks in 2008, and 263 and 239 for the years 2007 and 2006, respectively. In the first five months of 2011 there have been 273 such incidents — almost 50 percent more than in 2010. 92 percent of all hijackings in 2010 were off the coast of Somalia. The global economic cost of maritime piracy is estimated at between $7-12 billion per year, according to a December 2010 report by the One Earth Future Foundation. The report found that the ransoms paid to Somali pirates had increased from an average of $150,000 in 2005 to $5.4 million in 2010. Pirates have killed several hostages when ransoms were not paid. The international community has responded to this growing threat of piracy, especially in the Gulf of Aden and off the Somali coast, by undertaking naval operations, coordinated by NATO, the EU, and a coalition led by the United States, in addition to several countries operating on their own. 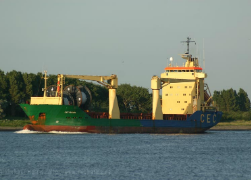 It has been suggested to arm crew members, but this has not won favor from the shipping companies; perhaps it is more feasible to use private security companies, as is being done in some cases. Notwithstanding all these efforts, the scourge of piracy continues to be a major challenge to the international community. The major reason is that Somalia is a failed state, it has Africa’s longest coastline, spanning 3,025 miles, and its geographical location lies next to key shipping routes connecting the Red Sea and Indian Ocean. Piracy constitutes a violation of international law, a crime that is considered a threat to all nations navigating the open seas. In an 1820 US Supreme Court case, US v. Smith, Justice Story, writing for the Court, declared that “there is scarcely a writer on the law of nations who does not allude to piracy as a crime of a settled and determinate nature.” Consequently the principle of universal jurisdiction applies to acts of piracy. Under this principle, any nation may prosecute acts of piracy in its domestic court, no matter where these acts occurred and no matter who the perpetrator is. Accordingly, a nation could rely on this principle to seize and prosecute Somali pirates engaged in piracy on the high seas. However, most countries have routinely released the pirates after capturing them because of the problems associated with trying them in their own national courts — expense, lack of adequate evidence, and the feared claim of asylum on the pirates’ part. Some national courts have begun prosecuting pirates. Kenya has entered into several agreements with the European Union, the United States, the United Kingdom, China, and several other countries, to take custody of and prosecute pirates in its courts. Seychelles has also been prosecuting suspected pirates in its national court. 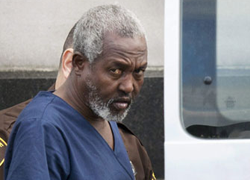 Also, in late November 2010, the Virginia Federal District Court convicted five Somali pirates on federal piracy charges. 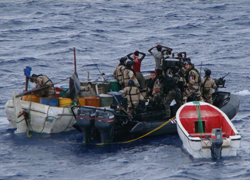 Some European courts, too, have considered trying Somali pirates. Among these courts, the Dutch have taken the lead. In addition to customary international law, two treaties are pertinent, under which a state could arrest and prosecute pirates in their national courts. The conventions are the United Nations Law of the Sea Convention (UNCLOS) and the United Nations Convention for the Suppression of Unlawful Acts against the Safety of Maritime Navigation (SUA). UNCLOS calls upon all states to combat piracy by cooperating to the fullest extent in repressing this crime on the high seas or any other place outside the jurisdiction of any state, although only warships, military ships, or other crafts of government service are permitted to seize them. The 1992 SUA currently has 150 state parties and is aimed at addressing concerns about violence and terrorism on the high seas. Although it does not expressly outlaw piracy, an offense under SUA is committed if a person willingly takes part in seizing control of a ship by force or intimidation, uses violence against an individual on a ship affecting the safety of a ship, or damages a ship in such a way that it affects the ship’s safe navigation. Attempts at these piratical actions, aiding or abetting a pirate, or threatening to commit piratical acts are also included. 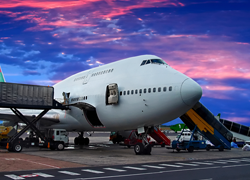 The SUA Convention provides for extradition of offenders to ensure that a criminal is prosecuted even though the state in whose territory the offender is located is unwilling or unable to prosecute. 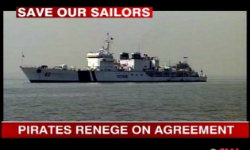 In addition, the International Tribunal for the Law of the Sea may also provide a remedy as a forum for a piracy trial. The United Nations Security Council, acting under Chapter VII, has adopted several resolutions since 2008 to counter piracy and armed robbery at sea. It has authorized member states to take action against pirates even in Somalia’s territorial waters and has called upon states and regional organizations to deploy naval vessels, arms and military aircraft and seize and dispose of vessels and equipment used in the commission of these crimes. It has also called on states to criminalize piracy under their domestic laws, and to favorably consider prosecuting and imprisoning suspected pirates. There is currently no possibility of a Somali court sitting in Somalia or in the territory of another regional state applying Somali law. Could a regional tribunal or an international tribunal established by the Security Council under Chapter VII of the UN Charter be feasible? The challenges of creating such an international judicial body are enormous, but it is worthwhile seriously considering this possibility.